The widely discussed iPad 3G release and shipping date has finally been cleared up by Apple today. We no longer need to debate the issue of when the iPad will be released, and no longer do we need to share our iPad credit card invoices. Apple officially stated in a press release today that the iPad Wi-Fi + 3G models would be delivered to U.S. pre-order customers on Friday, April 30th. Apple also noted that the iPad 3G will be available in Apple retail stores that same day (Friday, April 30th), starting at 5:00 p.m. The iPad 3G is the more practical device, in my opinion, since it takes advantage of AT&T’s 3G data network. The Wi-Fi version is ok, but what about when you are in a Starbucks, for example, and you want to get on your iPad? The only alternative you have is to pay their Wi-Fi charges. Well with your iPad 3G, you no longer need to worry about paying for Wi-Fi Internet access. Just turn on the 3G and more than likely, if you are in somewhat of a larger metro area, you will be able to get on the web just fine. CUPERTINO, California—April 20, 2010—Apple® today announced that the Wi-Fi + 3G models of its magical iPad™ will be delivered to US customers who’ve pre-ordered on Friday, April 30, and will be available in Apple retail stores the same day starting at 5:00 p.m.
Apple retail stores will offer a free Personal Setup service to every customer who buys an iPad at the store, helping them customize their new iPad by setting up their email, loading their favorite apps from the App Store, and more. US Apple retail stores are also hosting special iPad workshops to help customers learn more about this magical new product. 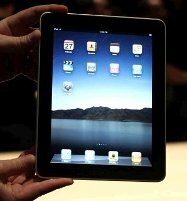 iPad is available in Wi-Fi models in the US for a suggested retail price of $499 for 16GB, $599 for 32GB and $699 for 64GB. The Wi-Fi + 3G models will be available on April 30 in the US for a suggested retail price of $629 for 16GB, $729 for 32GB and $829 for 64GB. iPad is sold in the US through the Apple Store® (www.apple.com), Apple’s retail stores, most Best Buy stores, select Apple Authorized Resellers and campus bookstores. AT&T is offering breakthrough 3G pre-paid data plans for iPad with easy, on-device activation and management. iPad will be available at the end of May in Australia, Canada, France, Germany, Italy, Japan, Spain, Switzerland and the UK. Apple will announce international pricing and begin taking online pre-orders for iPad on May 10.